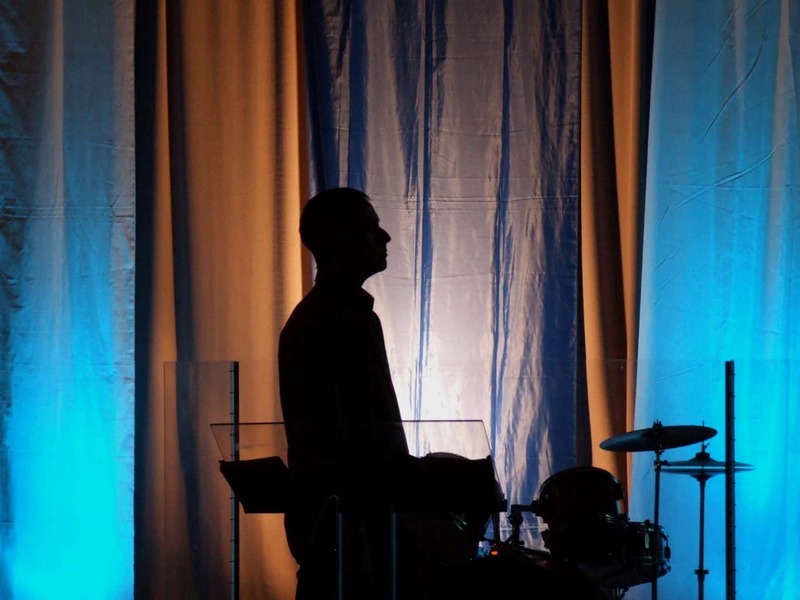 Many churches are using electonic drums and that is something that is just reality! BUT… there is one huge reason why the electronic drums are better and that is VOLUME CONTROL. Many small church rooms can not handle the volume of an acoustic drum set and, in this case, I usually advise the use of the electronic drums. So, here we are with the electronic drums and we are trying to create the sound and feel of an acousti drum kit. In 1990’s, this was much harder, but with advanced technology it is almost like hearing a real drum kit. To get the most out of this, you must have it setup and mixed properly. You can not just open up the box, plug it in and expect it to be amazing! You have to use the correct setup for your system and you have to tweak the presets to sound good in your room and for your style of playing and music. Your first option is to use the Stereo Out direct into your mixer and setup the best mixes inside the drum brain. This is the easiest and takes the least amount of channels in your snake. Some less expensive models only give you this option anyway. So, if this is your setup, you will have less control at the board to mix the kick, snare, cymbals into the music. This must be done before the music is playing and you realize that your snare is louder than the lead vocals. So, get with your drummer and someone who can program your drum brain and start tweaking. Start with the Bass Drum and the Snare and get a good balance. Get the thump and crack your really want using the EQ settings and the volume controlls inside the brain. Pick the best sounds and begin to “build your kit”. Then set the toms. then the cymbals. Be sure you are listening in the room and not from the stage. Have a few people listen and pay close attention to the balance of the kit. Once you get it near perfect, save the drum kit to your favorite number in the brain. This will be your main kit. Be sure not to mix the cymbals too loud or any of the toms, ride or splash cymbals over the Kick and Snare. Remember, your kick and snare are your foundation and will carry 90% of your groove. If you have a drum unit that allows you to run every channel out to your board AND you have enough channels in your snake and your board, you can use the multi-channel setup. The pluses for this setup is that you have individual control over the mix, compression, EQ and effects at the main board for every single drum or submix of drums that you send. You alos need very skilled sound technicians because they will be responsible for mixing the entire kit and will need to have the ear and training to do that well. I like this setup because it is easier to mix and handle. Also, it is easier to control and keep track of. Then, you are asking your mixer to mix 4 tracks instead of 8-10 for the drum mix. Remember, when you are sending your main volume to the board, the master knob or master mix on the drum brain can affect the overal volume/gain going to the board. You must not be tuning that know up and down all the time because it will affect everything after it in the chain! For example: the drummer decides he needs a bit more drum so he turns up the master knob on the drum hear, then the mixer overloads and the drums get louder in all the monitors. Its a bad circle to start. A few hours with the manual will give you the insight you need to setup a good drum set program. Usually you have Volume, Pan and Tone to work with. You pick the drum sound and set it to the correct volume. Do not PAN your toms and cymbals unless you are running a stereo sound system. I advise not running a stereo sound system in most situations. Think about this: If you run a stereo sound system and pan your hi-hat to the left, the people sitting on the right side of the church will never hear it! Leave comments! Let us know how you set your electronic drums up and ask your questions below!